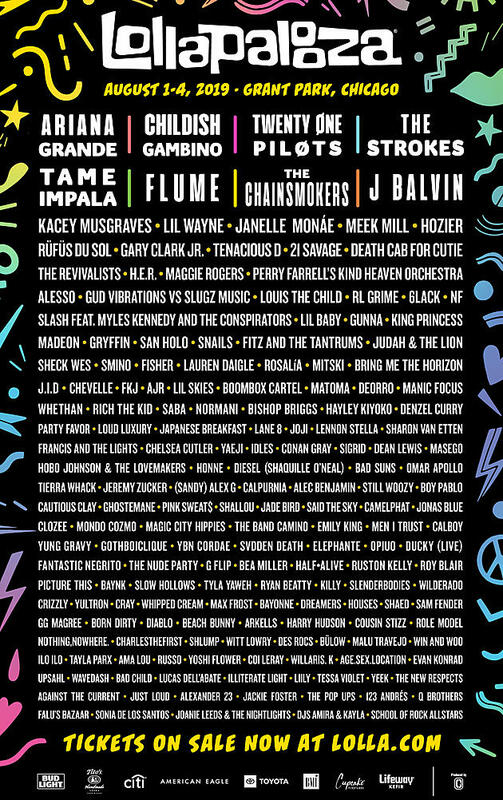 PERRY FARRELL'S KIND HEAVEN ORCHESTRA, BRING ME THE HORIZON and CHEVELLE are among the newly confirmed artists for this year's Lollapalooza festival, set to take place August 1-4 at Grant Park in Chicago. Slash and TENACIOUS D's participation in the event was revealed last night via a 13-minute video featuring adoptable dogs from Chicago's PAWS organization. Started by JANE'S ADDICTION frontman Perry Farrell in 1991, Lollapalooza is a touring festival that has stops in Chile, Brazil, Germany, Sweden, Argentina and France. It also has an annual event in Chicago that began in 2005.